Born in Moscow, Sascha Zaburdaeva attended Gnessin’s Music College and performed with the Russian Youth Symphony and Youth Talents of Moscow. She continued her studies in New York at the Brooklyn College Conservatory of Music, where she studied with Masao Kawasaki and Itzhak Perlman. 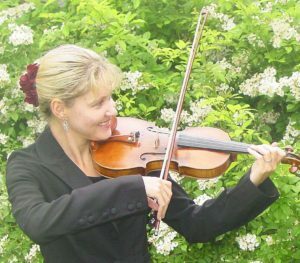 After receiving her second bachelor’s degree, Sascha earned a master’s degree in violin performance with Anatole Wieck at the University of Maine, Orono. Ms. Zaburdaeva has rich experience as a soloist and chamber musician, and she currently sits in the first violin section of the Bangor Symphony Orchestra while teaching students of all ages and abilities at RDL Strings in Bangor. In recent seasons, she has been a string coach for the Bangor Symphony Youth Orchestras. Rebecca Mallory is the Music Teacher, Band and Chorus Instructor, and Jazz Band Director at Reeds Brook Middle School in Hampden, ME. She holds a master of music education degree from Kent State University and received her bachelor’s at the University of Maine, Orono. Prior to teaching in Hampden, she held positions in Howland and Veazie, and she has taught flute, clarinet, and saxophone as a private instructor for over 20 years. 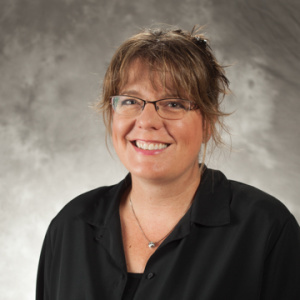 In 2013 and 2014, she attended the Jazz at Lincoln Center Band Director Academy, and she currently chairs District 5 of the Maine Music Educators Association.